How can trampolines help with Autism? Bouncing on the trampoline is a fun way to both relax and stay active for almost every kid out there. However – for some – trampolining can do so much more! Children who sit along the autism spectrum can benefit from bouncing in many ways that other children do not. Depending on your child’s needs, you can include the trampoline as part of their physical therapy. In light of our support for a number of organisations that help children with autism, we want to talk about why and how bouncing on a trampoline can improve the lives of those children who need a little more care than most. 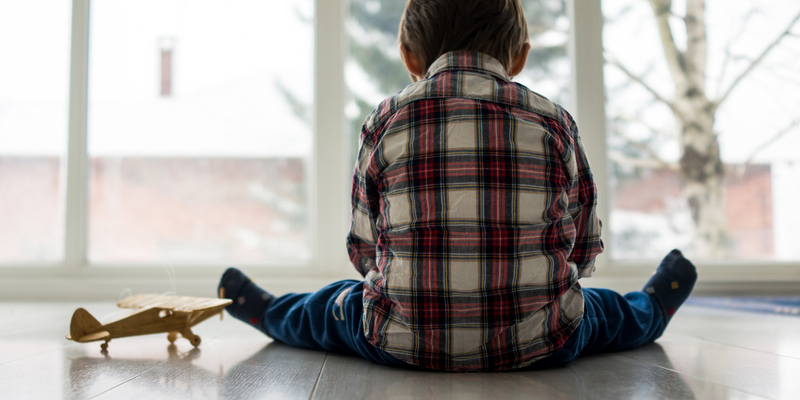 Many children with Autism Spectrum Disorder (ASD) experience physical issues related to interpreting impulses from muscles and joints, as well as sensitivity to movement and balance. This is why some kids exhibit ‘odd’ limbic movements or are uncommonly responsive to touch. A trampoline – and the consistent up-and-down movement that it provides – allows these kids to unconsciously teach their bodies how to interpret the signals being sent to their brains much more effectively than the characteristic back-and-forth rocking and fidgeting prominent in those with ASD. It also helps them work on their ability to control balance in a safe environment, improving their awareness of space and their bodies’ positioning within it. Kids with ASD often experience heightened levels of stress. If your child is finding it difficult to express their anxiety in a way that helps you to address it, it’s good to know that particular sensations can alleviate these feelings. A bounce on the trampoline may be all that they need to calm them down. Trampolines, with attached Shade Covers, can also provide safe havens for special-needs kids who need calming spaces away from overwhelming stimuli. A relatively small Small-sized trampoline is easy to move and put away when needed for this purpose. Some along the autism spectrum have difficulty learning conventionally, and many find it hard to form relationships with their peers. While a trampoline can help kids with ASD address their difficulties with sensory inputs, it can also allow them to more easily engage information and other people. Reinforcing learning material with movement may help that knowledge stick—especially when paired with ‘games’ like Simon Says or chalk drawings on the mat. Bouncing is also something that all kids – no matter their capabilities – can enjoy. It’s the ideal platform for special-needs children to interact with kids their own age. Just remember: one at a time bouncing is crucial! Do you have a child with Autism Spectrum Disorder? We’d love to hear how your trampoline has helped them (and you) with the challenges that the whole family can face every day.